I am currently living in the village of Puerto de la Cruz in Tenerife. Part of the Canary Islands in the Atlantic, this fascinating village is situated on the north-west side of the island. The village is actually a city because it has its own council, but it has a surface area of only 9 square kilometers. That makes it almost 175 times smaller than London. Even though it is very small, there is a lot to do. At least I think so! Sun, beaches and palm trees! Tenerife often is associated with a picture of a sandy beach crowded with tourists, well, I find this a shame because this little island holds many more secrets…I spent six months in Tenerife and in my opinion it is a really interesting destination due to the diversity of its landscapes alone: A combination of sea and mountains, sandy beaches, black sand and pebble beaches await you on your next adventure! I love Puerto de La Cruz…the landscape, the beaches, the history, the culture, the people, the festivals…and of course the nightlife! 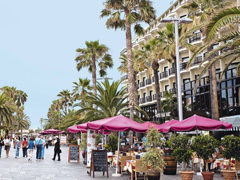 El Puerto, as we, the chicharreros, or people from Tenerife call it, is one of the best places to visit and to go out in Tenerife. There are lot of different places to party and things to do, so you’re certain to have a really great night! 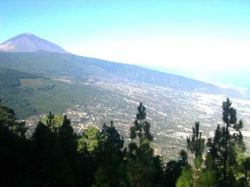 El Puerto de La Cruz is located in the beautiful La Orotava Valley, which has one of the best views of El Teide, the volcano on the north of the island of Tenerife. 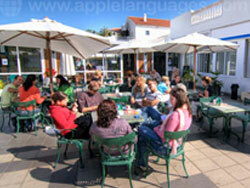 It’s very famous for tourism, but at the same time retains its Canarian culture!